When it comes to football, Eddie did it ALL! He was a player, coach, club founder, patron, administrator, reporter and commentator (print, radio and TV), sports ambassador, tipster, promoter, sponsor and most of all….an Avid Fan! Eddie came from a family of soccer players in Chile. As a child, Eddie played Football each weekend and followed the main league on radio and TV. He arrived in Darwin as a young 14 year old and joined Nightcliff High School, where he became the youngest ever school coach and first ever winning coach – Nightcliff High School Junior Championship. Eddie also played football for local football clubs and community clubs outside of school. By age 17, Eddie joined A Grade football and played for multiple clubs over the years. He also captained football teams during his playing days. At age 23, Eddie qualified as a Grade II Football Coach with the then Australian Football Federation, and went on to coach the Under 17 NT Women Football Team. They became the first ever NT Representative Team to win a National Championship. Eddie went on to become a senior coach for A Grade teams, including being the coach for the NT representative side at the National Championships in Canberra at age 25. Eddie would later become a founding member and manager of a few football clubs for both indoor and outdoor football. He was involved with the Darwin Cups in the Singapore Premier League. As a Manager of one of the clubs, Eddie took his team to compete in the Singapore National Competition. Over the years, Eddie was also appointed Patron of somefootball clubs. Eddie was contracted to the Darwin Football Association as their Public Relations Officer/Registrar at age 25. He organised competitions and promotions, and raised funds for the Association. He alsoproduced and edited the well-known Darwin Football Magazine. Eddie comperedthe weekly television sports section in the Channel 8 (now Channel 9) program Hellenic News Variety Show (Sports Section) every Sunday morning as well as being commentator on most television and radio football shows from age 25-30. He continued to be a ‘Go To’ person for football commentary over the years, and has regularly featured in the NT and national newspapers, radio and on TV right up until his sudden passing. He was a regular on ABC Grand Stand with Charlie King every Saturday morning talking about local football and sometimes, the national and international leagues too. Eddie became the General Manager of the NT Sports Promotions in Darwin at age 27 and actively promoted and organised indoor football games and competitions. Eddie was appointed a Sports Ambassador representing football at the Inaugural Arafura Games. 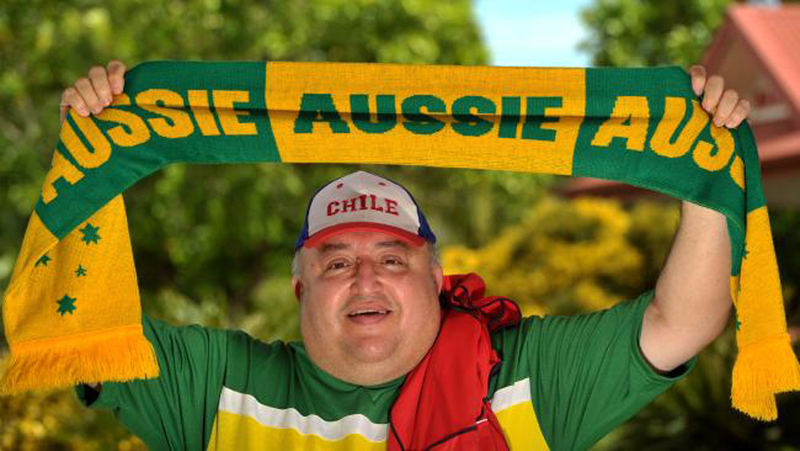 Eddie’s love for football goes beyond the Territory and Australia. He was a number one supporter of AC Milan, hence his car rego – Milan1. He was fortunate to have met and dined with the AC Milan team in Sydney in the 80s well before his first visit to Italy to watch them play on their home ground. When he wasn’t travelling to Italy to watch his beloved AC Milan, Eddie was glued to the TV or Internet watching their every game in the early hours of the morning due to the time difference. Eddie not only followed the Italian Serie A, he also followed the English Premier League and Spanish La Liga and he provided research consultancy for betting companies in the NT and Singapore for these three international leagues. 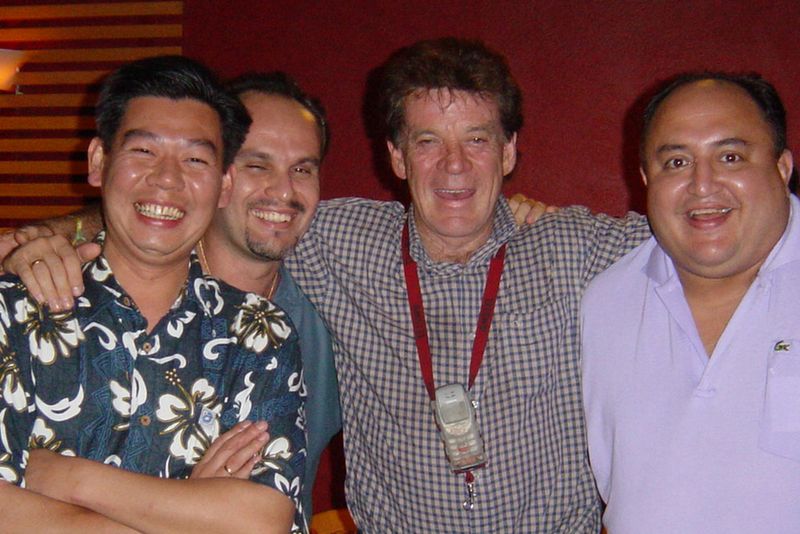 In 2003, Eddie was the promoter/event organiser in bringing Australia’s Great Johnny Warren, on the Captain Socceroo NT Tour. Eddie was fortunate to spend time quality time driving Johnny Warren and showing him the sights and sounds of Darwin, whilst they talked about a Game that was so dear to both of them. Eddie has sponsored various Territory Football Leagues/Associations including being a current sponsor of the Football Federation NT. Over the last 10 years, Eddie has been heavily involved in promoting football in the NT. He dedicated so much of his time and resources to a game he loved and was also a mentor to quite a few young and upcoming football players. He would pick them up and drop them off at games, and would mentor them not just for football, but life skills and career opportunities. Eddie’s involvement in football culminated in him founding Football Talk NT in 2012; a platform to share football news, results, opinions, memories, stories, photos and videos with the main goal to promote the game he so loved. Eddie referred to Football Talk NT as a football family. This football family has over 2000 members comprising players from various clubs, fans, administrators and members of the media. The membership continues to grow daily. Eddie was committed to the community and was always willing to help. In June 2015, Eddie and the Rangers Supporters NT organised a Charity game to raise funds for ex Rangers Captain Fernando Ricksen, who was diagnosed with Motor Neurone Disease at age 37. On 28 June 2015, at the Charity Fundraiser game, Eddie also launched the inaugural Football Talk NT Hall of Fame. Eddie inducted one of Darwin’s oldest (96 year old Mr Casimiro) football fans into the Football Talk NT Hall of Fame. Mr Casimiro has until the last couple of years been attending games most weekends. Eddie’s love for football went beyond Darwin and its environs; he reached out to other areas of the NT including Alice Springs and Borroloola. He had a great vision for Football and the great work he undertook promoting the game of football continues. Eddie’s love for football is beyond words - he lived and breathed Football, and his Legacy Lives On!